And pure are the waters that kiss her dear shore. But sweeter and purer-oh, yes, and more merry. As I roam this world over a stranger to all? Whatever befall me, oh, Deelish. don't doubt me. Whatever befall me, oh, Deelish, don't doubt me. The days are so long, and the nights have no ending. Since I left thee and Erin, the land of my birth. If I were to die in the midst of the ocean. 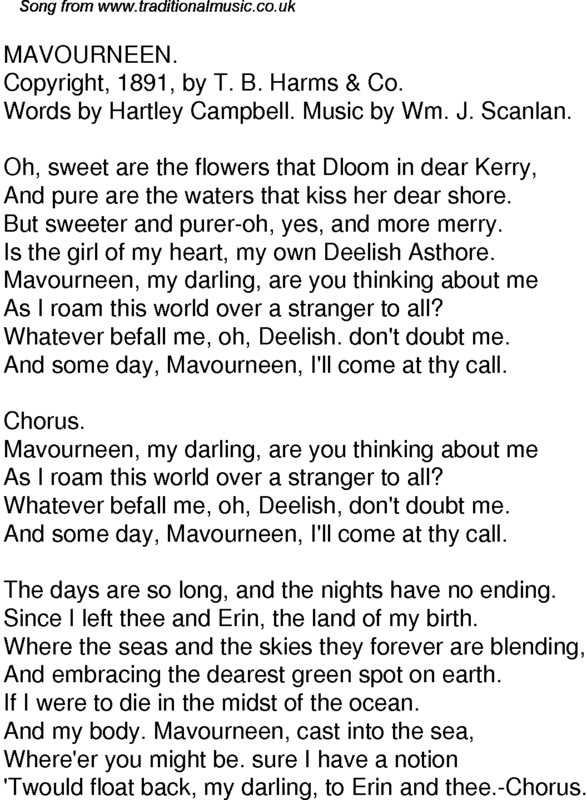 'Twould float back, my darling, to Erin and thee.-Chorus.